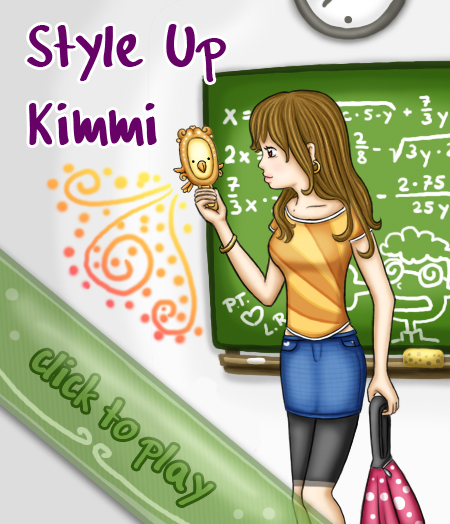 Style up Kimmi! She’s got so many different colors and printings on her clothes, so she can’t decide what to wear. Don’t forget to add her magic mirror! My little dog´s name is Kimmi! Weird, right? i love it!!!!!!!!!!!!! it is awesome website! !